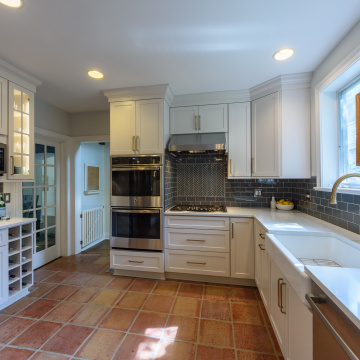 We offer full service kitchen and bath sales, design and installation. 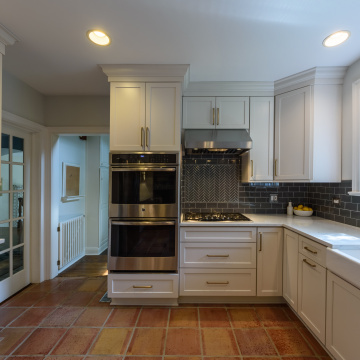 Our expertise extends well beyond this and includes full project management and remodeling - from kitchen and bath components sales to large scale remodeling. 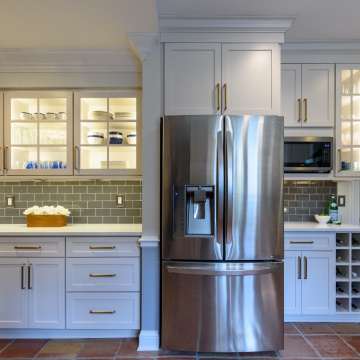 As we carry an extensive selection of quality custom cabinetry we can fulfill your cabinet needs for your entire home in addition to your kitchen and bath. 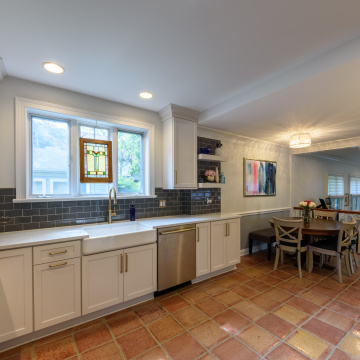 Combining more than 50 years in the construction and design fields North Shore Kitchen and Bath has been at the same location in Wilmette, IL for over 25 years. Bring your ideas to us. Our professional staff can make your project a reality - on time and on budget. Customer service is our top priority from the smallest to the largest project. Diana was extremely organized and professional. Truly enjoyed the whole experience from start to finish. My 5 star rating is contingent on the correction of the areas of improvement in number 14. 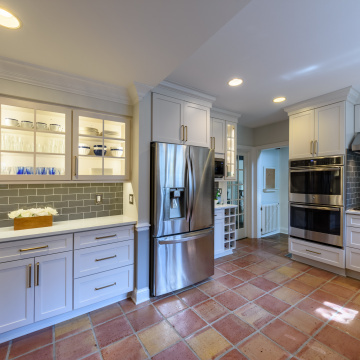 Most of the remodeling was done very professionally with a high degree of quality. NSKB has remodeled a bathroom and a kitchen in our home. Their design, product recommendations, and installation were absolutely first class. Their workers are careful craftsmen and Carl, the owner, was personally involved in the project. Both projects were on time, on budget, and turned out beautifully. We will call them again and would recommend them with reservation! 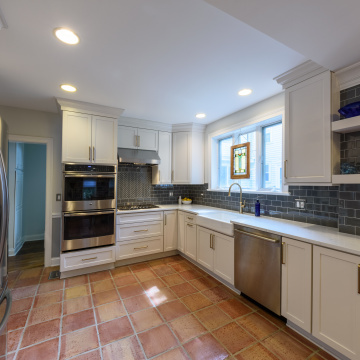 We enlisted the services of North Shore Kitchen & Bath for the remodeling of the kitchen in our Vintage 1903 Condominium unit. The proposed entailed the complete demolition of the floor, walls, ceiling and relocation of the sink and all mechanicals. Andrea Kazarian of NSKB provided excellent design ideas regarding the selections of cabinets, fixtures and all final finishes, to include purchasing of high quality, unique Plain & Fancy cabinets, as wellwe selected quartzite countertops to match perfectly with cabinet two-toned finish. 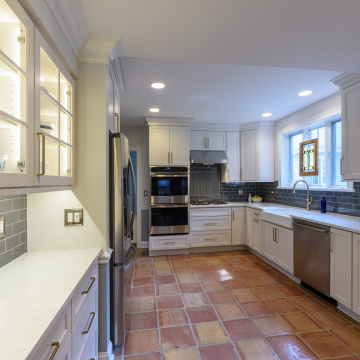 North Shore Kitchen & Bath was a pleasure to work with, from the inception of our project through final completion. The individuals we worked with were highly professional. They always responded to any questions/problems in a timely manner. 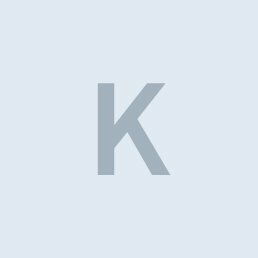 I would definitely use them in the future and recommend them to others. 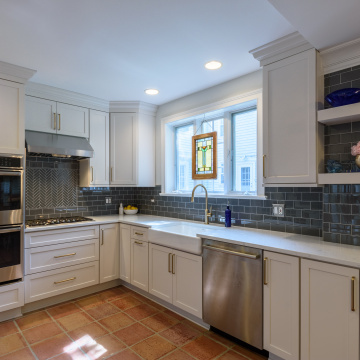 North Shore Kitchen and Bath made the multi-month experience of tearing up the existing kitchen and redoing it definitely worthwhile. From the start to the finish, the designer worked with me. 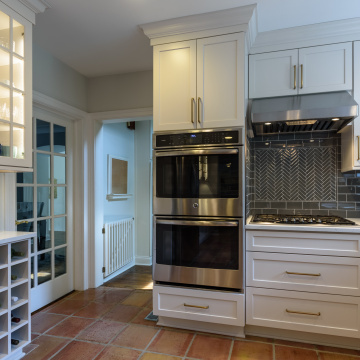 Diana was patient, insightful of my style, and offered so many possibilities until we narrowed all down to what fit my preference, a kitchen of sophistication and warmth. She came to my home often to check on the work and to guide workmen to even better decisions (i.e. 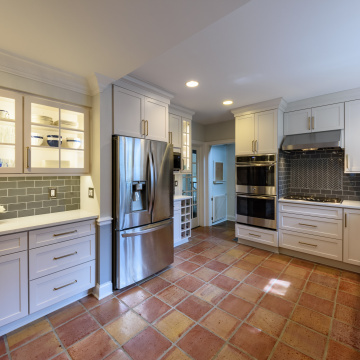 height of tile, placement of lighting, shade and hue of paint). She was friendly while being the ultimate professional. In fact, all those at NSKB were friendly, helpful, and listened attentively, always getting back to us in a timely fashion. I haven't hesitated to recommend NSKB to others. A good experience with superb results. They worked hard and with excellent results in a timely manner and for a fair price. They also communicated very well with us on this project. Call back and project discussion are high on my required list. 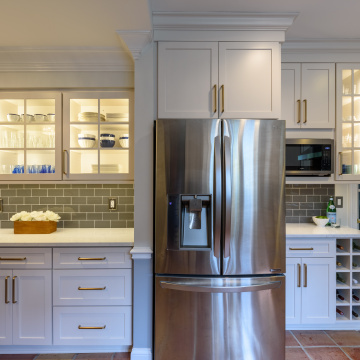 From planning to execution, everything went smoothly with high quality cabinets and products to amazingly talented workmanship in all aspects of installation. Everything went in on schedule with no lapses in time and every recommendation turned out to be spot on. Our living space remained quite livable throughout the project and the experience was very pleasant overall. We actually enjoyed our construction and are enjoying the end product even more. 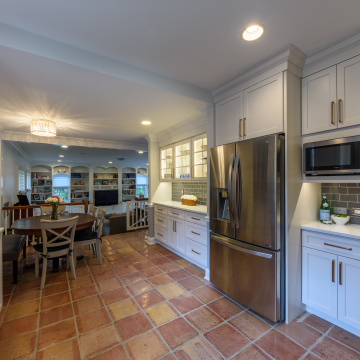 North Shore Kitchen & Bath created a new kitchen for us that was far beyond all of our expectations. The design, quality, service and price were outstanding. The advice we received from Diana, our designer, was excellent. The quality of work and materials was top notch. We could not be more pleased with the result.